Boom! Breakdown! 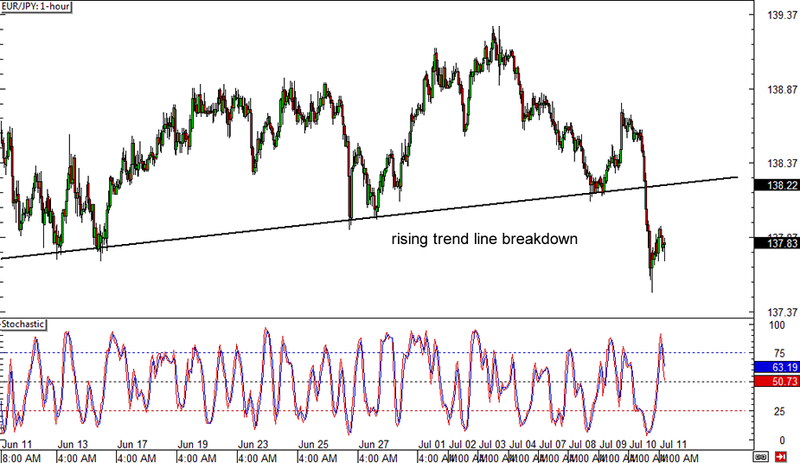 Euro bears pushed EUR/JPY below the rising trend line support on its 1-hour forex time frame, hinting that further losses could be in the cards for the pair. Stochastic is moving down from the overbought zone and reflecting a pickup in selling pressure, confirming that the pair’s uptrend is about to see a major reversal. Price appears to be retracing at the moment, but the pullback might be shallow as EUR/JPY looks poised to test its former lows and perhaps create new ones. Careful, Kiwi bulls! 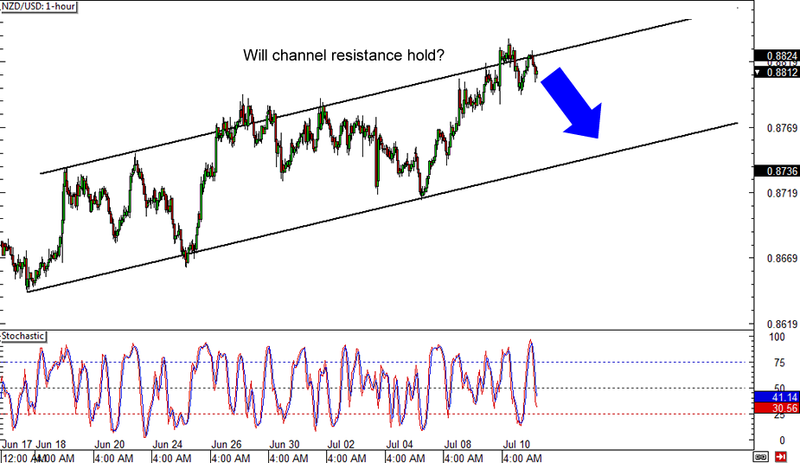 NZD/USD is currently trading at the top of the rising trend channel on its 1-hour forex chart, which means that the pair might have trouble extending its recent rallies. A selloff to the mid-channel area of interest or until the bottom of the channel might take place, as stochastic is also reflecting how sellers are in control of the game for now. If you’re thinking of shorting, you might want to wait for a break below short-term support near the .8800 handle and set your stop above the channel resistance. 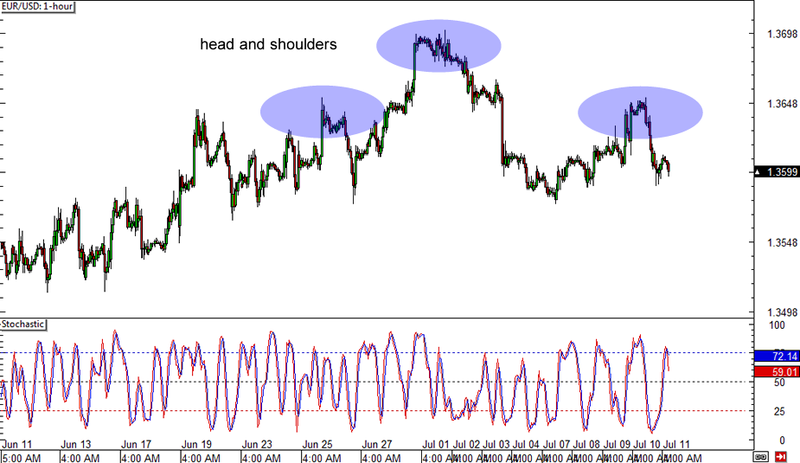 EUR/USD might also be in for a quick selloff, as the pair has formed what appears to be a sketchy head and shoulders pattern on its 1-hour forex time frame. As discussed in the School of Pipsology lesson on chart patterns, this is considered a classic reversal signal, assuming that the pair breaks below the neckline of course. This pair might need to make a strong convincing move below the 1.3600 major psychological level before confirming any potential selloff, which might last by roughly a hundred pips.